3.5 gallon tub is made from non-woven geotextiles that allow for air and water exchange. 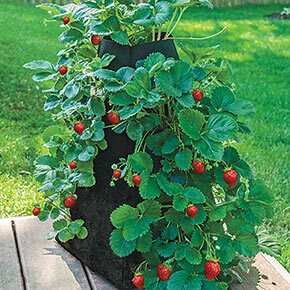 Each tub comes complete with two handles for easy repositioning, unique pyramidal shape is perfect for growing strawberries and other trailing plants. At the end of the season, simply remove plant material and soil from the tub, then fold it flat for easy storage. 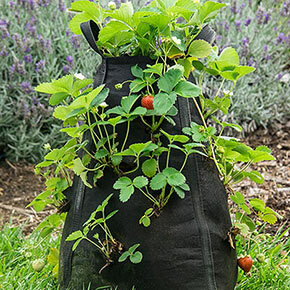 Holds 18 plants. Plants not included.